Note: This guide is compatible with version 1.3.1 and above of the LoyaltyLion Magento extension. If you're running an older version, contact support@loyaltylion.com for an upgrade guide. 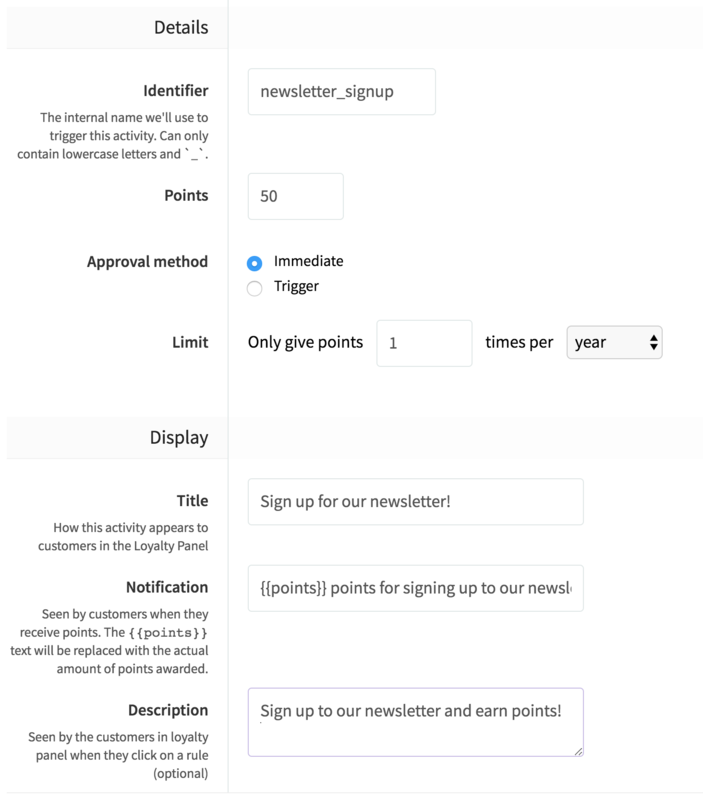 In this guide, we'll set up a hypothetical "signed up for a newsletter" custom activity on a Magento store. Identifier will be 'newsletter_signup' - this can be anything, but we'll use it later in our Magento code. Points will be earned at most once per year - but we'll only send an event for this activity once per customer anyway. 4. Verify that the customer earned their points.